We work with physicians, dentists, business professionals and owners who come from diverse backgrounds and represent all walks of life. Although the decisions we make about our finances may be good at the time, we believe that life is dynamic and financial needs do in fact change. Our commitment to you is to provide you with personalized financial solutions that take into account all aspects of your life and offer guidance, clarity of thought, and expertise to help you gain confidence in a more secure financial future. Clearly define goals and objectives, while identifying potential road blocks. 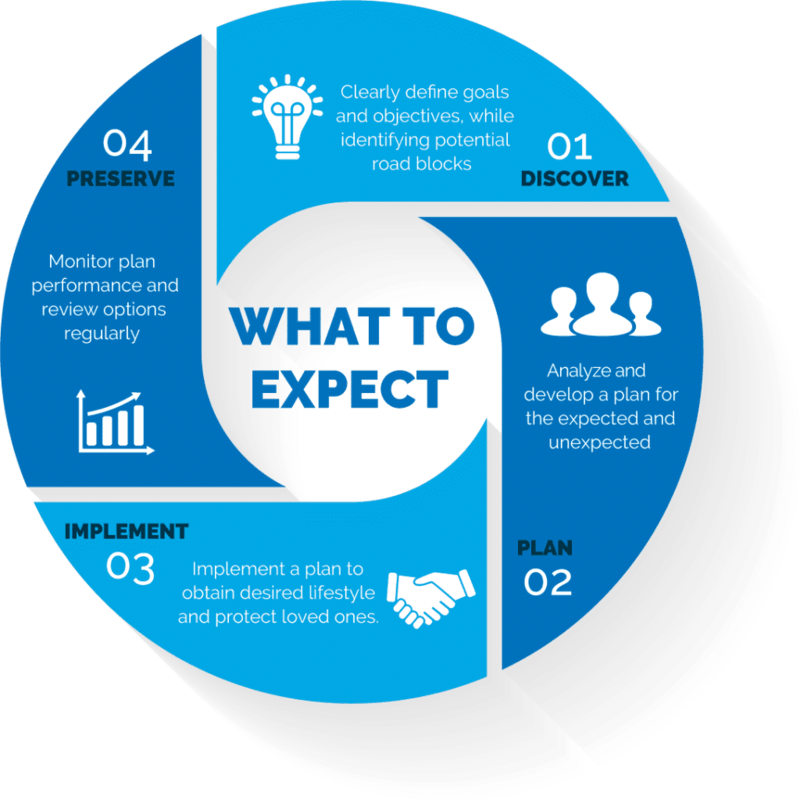 Analyze and develop a plan for the expected and unexpected. Implement a plan to obtain desired lifestyle and protect loved ones. Monitor plan performance and review options regularly.